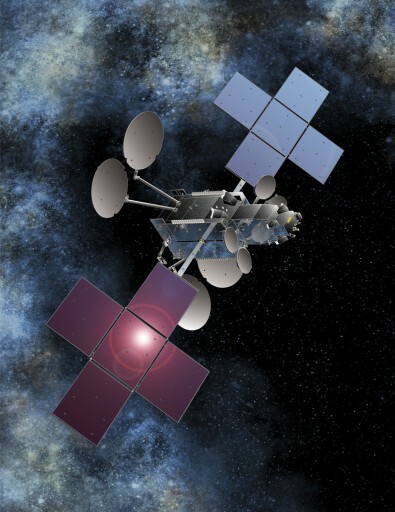 NBN CO 1A, also known as SkyMuster, is a commercial communications satellite operated by Australian company NBN Co. Ltd. Two NBN-Co 1 satellites are currently in planning to deliver high-speed broadband services to rural and remote areas across the Australian continent. NBN was established in response to a government policy calling for the implementation of broad band access to every household and business in the country by establishing an integrated national network combining fiber, wireless and satellite technology. Both NBN-Co 1 satellites carry high-capacity Ka-Band payloads that generate a large number of communications spot beams as part of an advanced design tailored to the vast distribution in the Australian population. The project is coupled to the establishment of a ground control infrastructure for the planning, optimization and operation of satellite missions as well as end-to-end integration support. Sky Muster is based on SS/L’s well proven LS-1300 satellite bus that is capable of hosting powerful communications payloads with high power demands. The satellite has a liftoff mass of 6,440 Kilograms and measures 8.5 by 3.0 by 3.5 meters in size when in its stowed configuration. Sky Muster uses the high-power variant of LS-1300, featuring two five-panel solar arrays that deliver 16.4kW of power to a dedicated system that conditions the satellite’s power bus and controls the state of charge of the vehicle’s batteries. Three-axis stabilization and navigation is accomplished by state of the art navigation sensors and reaction wheels. The satellite’s communications payload is comprised of 202 Ka-Band transponders, creating close to 100 communication spot beams. This large number of beams allows the satellite to cover a vast area of Australia including the most rural locations in the outback, the coastal islands and external territories including Norfolk, Cocos, Christmas and Macquarie Island. Sky Muster implements a number of optimizations to the LS-1300 bus to enhance its broadband capacity.